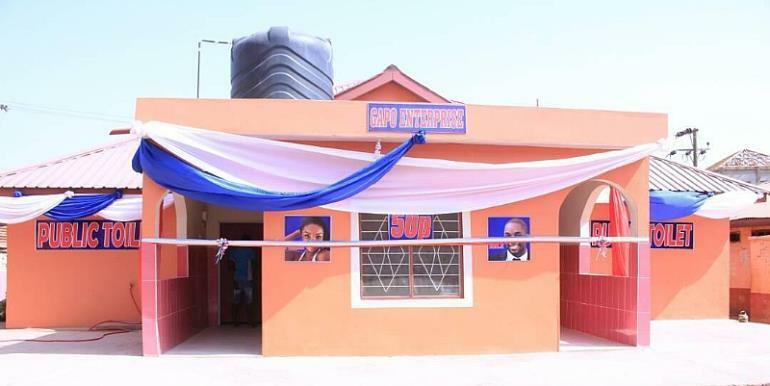 The Chief Executive of the Tamale Metropolitan Assembly (TMA) Musah Superior has commissioned an ultramodern 40-seater toilet in the Victory Electoral Area to tackle open defecation in the metropolis. The TMA engaged GAPO Company Ltd in a BOT agreement to build the toilet, which took five months to complete. According to the mayor, he has been mandated to provide key infrastructure for the benefit of members of the society. The Mayor told DAILY GUIDE that the assembly's task is to end open defecation by December 2019. MCE Iddrisu Musah Superior has waged war against open defecation in the Northern Region. An assessment of open defecation in all the 26 districts of the Northern Region in January 2018 indicated that the Tamale Metropolitan Assembly is still leading in open defecation with the highest percentage. Mampurugu Moduri (Yag-ba Kubori), North Gonja, Sagnarigu and Bunkpurungu Districts also placed last in open defecation. DAILY GUIDE has gathered that this is the fourth consecutive time the third biggest city in Ghana (Tamale) has placed last in the league table. The Mion District emerged first in the ranking followed by Tatali-Sanguli District. The East Mamprusi, Gushegu and Chereponi Districts placed third, fourth and fifth respectively.